© 2014 Ines Koleva/Getty Images, licensed to About.com, Inc. Although readily available year-round, prime time for fresh broccoli is October through April in the Northern hemisphere. 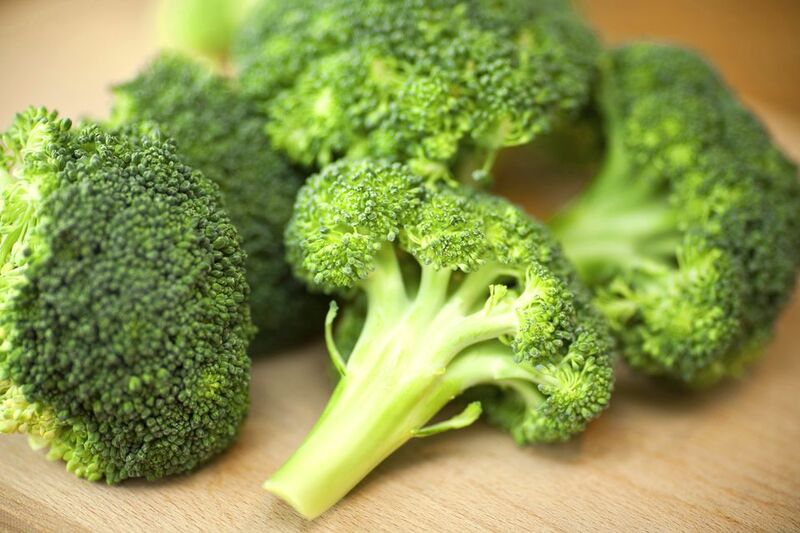 When selecting broccoli, look for lively green leaves and firm, thin stalks. Thick stalks will be woody and are a sign of overmaturity. The florets should be compact, firmly closed, and of a deep green color. Reject any heads that show any sign of yellowing or tiny yellow flowers as this is an indication of age. Broccoli is also available frozen. Consume fresh broccoli as soon as you can as it will not keep long. To store, mist the heads, wrap loosely in damp paper towels, and refrigerate. Use within 2 to 3 days. Do not store broccoli in a sealed plastic bag. Raw broccoli requires air circulation. A perforated plastic bag is fine. Cooked broccoli should be covered and refrigerated. Use within 3 days. To freeze, cut washed broccoli into florets and stalks into pieces. Steam or blanch about five minutes. Plunge into icewater to stop cooking, drain thoroughly, and place in sealed bags or containers. Freeze up to 12 months.